Think about the last time you encountered a slow-loading website. You might have closed out the browser tab entirely or felt less inclined to patronize the site once it finally loaded. Google understands that consumers want fast access to information, products, and services. Consequently, it rewards websites that load quickly. Let’s take a look at a few ways in which you can use website speed optimization to your advantage. Website speed refers to how fast your website loads when someone manually types in the URL or clicks on a link that directs them to your site. The average load speed across all industries and countries is about 8.66 percent, but the recommendation is to reduce that time to three seconds or fewer. Website speed optimization can put you ahead of your competitors, which will improve your Google rankings. If your site loads in three seconds and your competitor’s loads in nine seconds, Google wants to serve up your content first. If you know you have a slow website, you need to systematically consider potential culprits and resolve them so your visitors have a more enjoyable user experience. One way to find out if your website is slow is to open a new private browser tab on your computer or mobile device, then type in your URL. Use a stopwatch to find out how quickly (or slowly) it loads. This isn’t the most scientific approach, but it’ll give you a general idea. 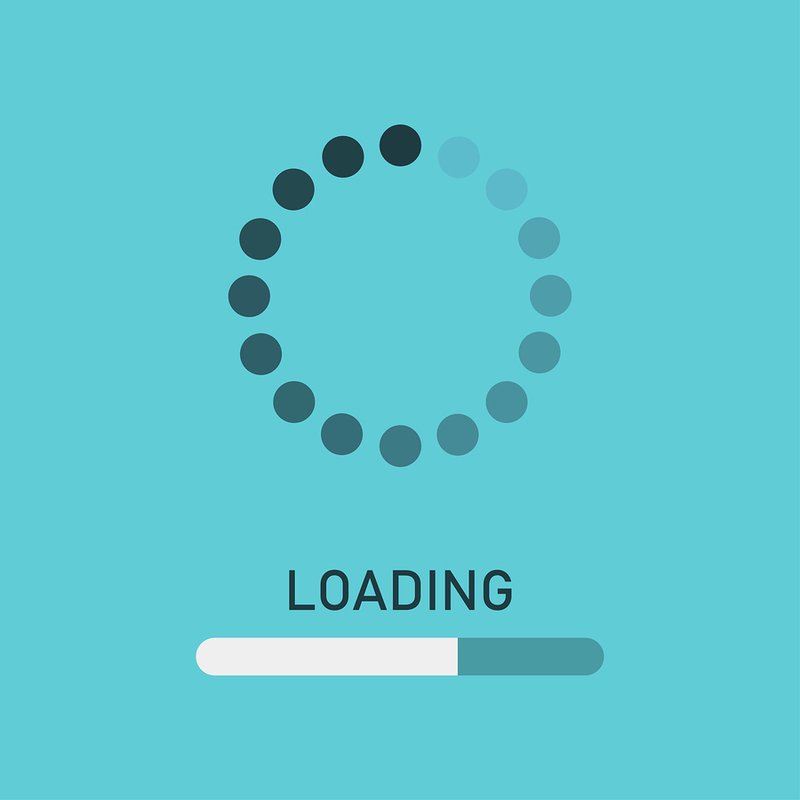 If your website takes 10 seconds to load by your count, you know you have some work ahead of you. Fortunately, though, several tools exist to help you decrease page load times for website speed optimization. They’ll test your site speed on different devices and recommend ways to reduce that speed for optimum results. 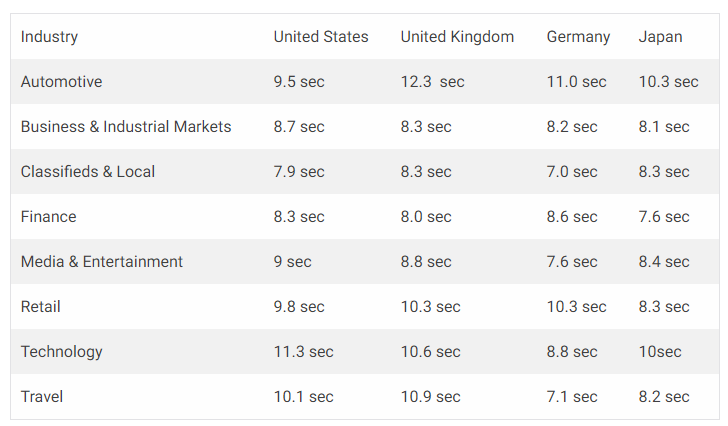 A website speed test uses a specific server in a particular country to measure how long it takes for your website to load. You can then pass on the information to your developer or designer. Alternatively, if you’re comfortable making changes to your website’s backend, you can make the changes yourself. Many website speed testing tools exist, but I’ve narrowed down my four favorites. I use them regularly to test the web speed for my own sites as well as my clients’ sites to ensure we’re not losing ground on SEO or User Experience. GTMetrix allows you to approach website speed optimization with actionable data in hand. Just enter your website’s URL in the text field and click or tap “Analyze.” You’ll get a detailed report in seconds. 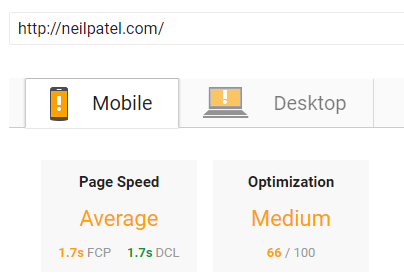 My personal website, NeilPatel.com, performs pretty well. I might be able to make some improvements, but my site loads extremely fast at 1.2 seconds. This isn’t all. When you scroll down the report page, you’ll find individual scores for specific features that impact page load speed. By improving each of these scores, you’ll take the necessary steps toward website speed optimization. If you’re looking for a more specific, granular tool, Pingdom might work in your favor. It offers website speed optimization scores as well as page speed monitoring for your site. Unfortunately, it isn’t free. You’ll pay a monthly fee ranging from $14.95 to $199. The company regularly offers discounts, which might help keep costs under control. 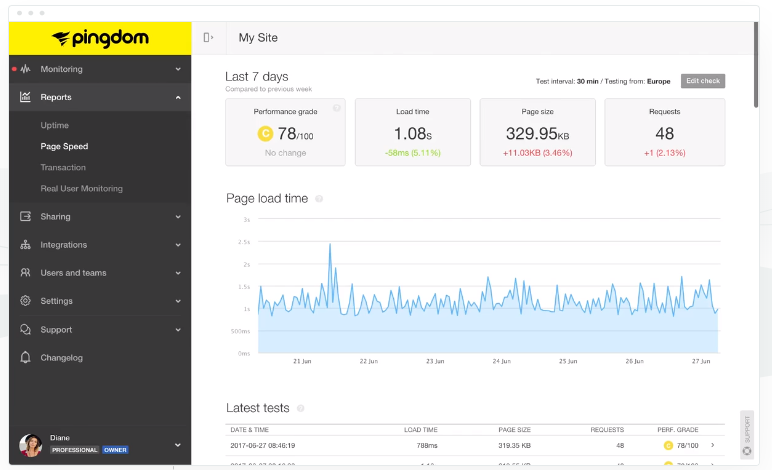 Pingdom is the best website speed optimization tool if you change your website’s structure and content often. You can use it to monitor for changes to page speed and to spot potential bottlenecks that could negatively impact your site’s performance. If you’re worried about website speed optimization for SEO reasons, why not go straight to the source? Google PageSpeed Insights is a free tool to help you diagnose problems that might slow down your site. Google will tell you what you’re doing right as well as what could be improved. Working your way down the to-be-improved list will make your site faster and easier for your visitors to access. You also get separate scores, reports, and insights for mobile and desktop. The YSlow interface might look a little dated compared to the other website speed optimization tools I’ve shared. It’s also the only one that requires you to download a browser extension. Since it’s based on Yahoo! Instead of Google, though, you might get additional insights. You’ll get quite a bit of data from YSlow, which makes it a good choice if you want active, real-time information about how your site performs. You’ll get an overall grade for your website as well as statistics, tips for improvements, and other data. Why Is Site Speed Optimization So Important for User Experience? Think about why you build a website to begin with. You likely want to share things about yourself and your business, and you might want to make money. To do that, you need traffic. SEO allows you to attract traffic via organic Google search. You can always take out paid ads, but it’s far cheaper to write fantastic content and get ranked. Once you have traffic, your work is far from done. You need that traffic to convert. Depending on your sales cycle, you might try to convert visitors into customers immediately. More often, though, you’ll use your website for lead generation. You want your visitors to provide their email addresses so you can stay in contact with them. That way, once they’ve considered their options, they have a good reason to buy from you rather than the competition. 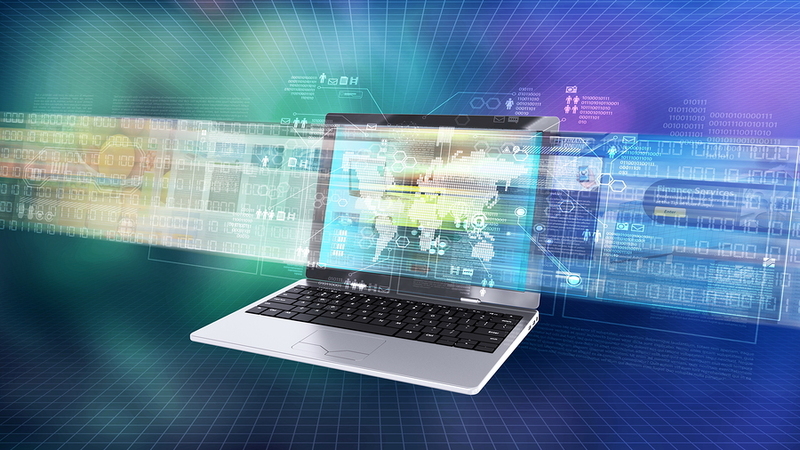 Believe it or not, website speed optimization plays an integral part in this process. An unusable or hard-to-use website doesn’t help you or your visitors. When people land on your site, they want to know how to navigate. They need to see every element on the page so they can find what they’re looking for. Some page elements might load slower than others. For instance, if you have a huge background image, it might appear on the screen gradually. This is especially true on mobile devices since they have less processing power. You also have to remember that you want to keep people on your site. When visitors arrive, check out a page, and leave right away, you get a high bounce rate. Those visitors don’t dig deeper into your site. If a consumer clicks on a link that leads to your website and the page loads slowly, he or she might assume that other pages will take just as much time. Even if the consumer doesn’t think about it, that person might click away to avoid the frustrating experience. You might already know that Google uses page speed as a ranking factor on desktop devices. As of July 2018, however, Google also considers page speed when ranking sites for mobile devices. The farther down you appear in Google’s search engine results pages (SERPs), the less likely you are to get clicks. In fact, clicks drop precipitously after position three. If Google decides to rank your site lower because of its page speed, you’re missing out on traffic. Furthermore, you’re losing potential conversions and sales that the traffic might have otherwise generated. I once tried to fill out a form on a website. It used a multi-step process, so each time I completed one page, I had to click a button to go to the next. Each new page took so long to load that I gave up entirely. Users like to engage with websites that enable them to move quickly. If you force them to wait, they’ll get frustrated and click away. You also need a good web host. If your host’s server doesn’t load your content fast enough, no amount of tinkering behind the scenes will result in website speed optimization. Remember the timeline I discussed above? Your website generates traffic, provides good content, encourages conversions, and keeps users engaged so they eventually buy something. If the user experience at any one of those stages falls apart, your conversion rates suffer. To boost conversion rates, make sure your site loads quickly and cleanly. You might have to eliminate fancy coding or special effects, but a clean website that loads fast will do more for your conversions than flashy design. 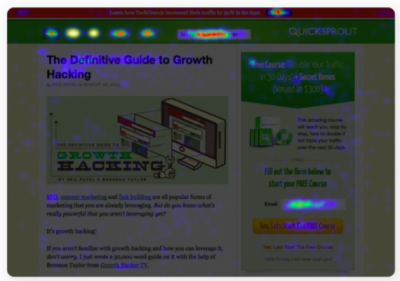 Now that we’ve covered the psychology behind website speed optimization, how do you do it? Let’s look at my eight best tips for speeding up your website on both desktop and mobile. Nobody likes to see that circle spin around and around while an image loads. It’s frustrating — and it makes many people want to click away. The easiest website speed optimization tip for images is to upload the smallest possible version of your image for your site. Let’s say, for instance, that your blog pages are 700 pixels wide. You’d want to restrict your images to that width for optimal speed. Just make sure they’re not too small. If your images look distorted or pixelated, they’ll hurt your credibility and professionalism. Test different image sizes on your site first to make sure they render appropriately on all screen sizes. Cascading style sheets (CSS) are elements of code that enable you to style your website however you want. 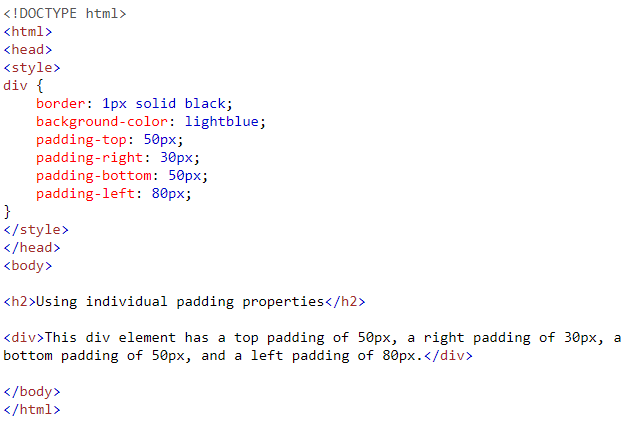 You can use CSS to change colors, fonts, margins, padding, indentations, columns, and more. Each CSS element addresses a specific part of your website. Bloated CSS can slow down your site, though. For instance, if you address a single element multiple times in the CSS, your browser will have to figure out which to load and what the other instructions mean. 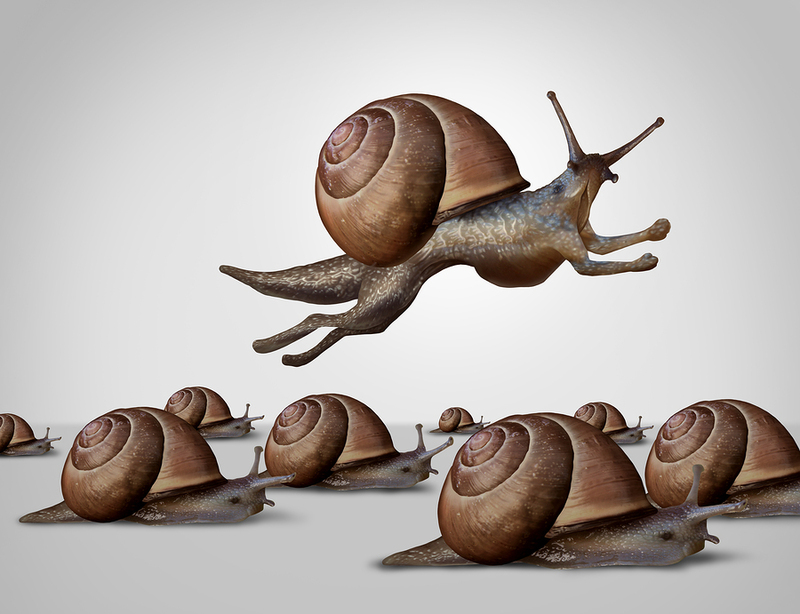 When your website has too many plugins, your site will slow down. The browser has to understand what all those plugins mean and how to assimilate them with your website itself. Too often, business owners and marketers install every plugin that looks like it might do something fancy. Worse, when they deactivate those plugins, they don’t delete them from their WordPress installation. Go through all your plugins. Ask yourself if you really need each one. If the answer is “no,” deactivate and delete the plugin right away. You can always re-add it later if it becomes necessary. Think of minification as a website speed optimization shortcut. It essentially removes any data from your website that the browser doesn’t need. It also strips out redundant data so you don’t have to do it manually. A plugin like W3 Total Cache can make your site load much faster. When someone visits your website, the plugin caches elements of your site for future visits. That way, they load quicker. The dreaded 404 errors can really frustrate visitors. They also slow down your site because they take up space that could otherwise exist for actual content. You can either remove pages with 404 errors or create a 301 redirect — a permanent redirect — to another page on your site. If you’re getting traffic to a page with a 404 error, you’ll want to take the redirect route so you don’t lose out on valuable traffic. Another option is to make sure your site loads quickly on mobile with AMP. These pages serve as alternates to your regular website pages with stripped-down content so the user only gets the most important information. The easiest route is through a WordPress plugin. It takes care of the heavy lifting so you don’t have to worry about complex code. Page speed is one of the most important considerations when it comes to optimizing your website. You want your visitors to get your content quickly and navigate to different pages as smoothly as possible. Remember, consumers have short attention spans. You don’t want to give them a reason to exit your site prematurely. However, you need multiple approaches if you want to reduce your pages’ loading times significantly. Use the tools I mentioned above to evaluate your website, then follow the eight steps to help your site load faster.